Electrical Installation - Residential and Industrial. Platten Electrics carries out electrical installations in domestic, commercial and industrial locations. I am happy to carry out works ranging from installing a new plug to a complete rewire. If your fuseboard is one to the old style rewireable fuse type, I can install the latest type fuseboard to comply with the latest regulations. I have extensive knowledge of shop fitting and working in the general commercial sector. I also have extensive knowledge of industrial work including metal scrwed conduit, metal trunking, cable trays and steel wire armoured. These works are all carried out to BS7671 regulations. 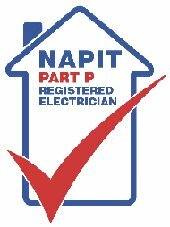 So for all your electrical requirements, please feel free to contact us.